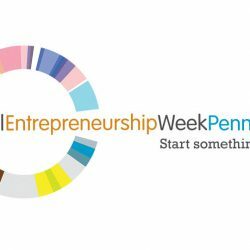 As part of Global Entrepreneurship Week, Penn State Berks will hold a variety of events on campus from Nov. 12–16. The college has several lectures planned for aspiring student entrepreneurs and two events are open to the public. The events are sponsored in part by the Flemming Creativity, Entrepreneurship, and Economic Development (CEED) Center. 12:15 p.m.–1:15 p.m., Wednesday, Nov. 15, room 121, Gaige Technology and Business Innovation Building. During this presentation, attendees will hear from four entrepreneur speakers about opportunities to start business ventures in the City of Reading. Cepeda-Freyitz earned a B.A. in French from the State University of New York at New Paltz College and a master’s degree in education from Long Island University. She held various positions in school-based counseling before moving from New York to Reading in 2007 to pursue a business opportunity. Cepeda-Freyitz relocated her family to open Mi Casa, Su Casa Café. In January 2011, she was awarded Business Person of the Year by the Latino Chamber of Commerce. In March, 2017 she was the recipient of the Take the Lead 2017 Award by the Girl Scouts of Eastern Pennsylvania. She currently serves on the board of directors of the Greater Reading Chamber Alliance. Gantz, a native of Reading, earned both her B.A. in political science and a master of public administration from West Virginia University. In her position, she works with both the public and private sector to enhance economic development opportunities in downtown Reading. She is the immediate past chair of the Pennsylvania Economic Development Association’s communication and membership committee; vice chair of the Smart Growth Alliance of Berks County; a United Way of Berks County Focus Area Panel member; and a member of the West Reading Economic Development Committee. She is also a recipient of the 2011 Rising Star Award from the Greater Reading Chamber of Commerce and Industry. Shuman grew up on a family farm in Selinsgrove, PA. He began his first enterprise when he was eight-years-old, selling roasted walnuts from the farm by the roadside. He made his first real estate investment was as a sophomore at Penn State University, where he earned a B.A. in History. After serving in the military, Shuman worked in computer sales, but he had always had a dream of owning his own business. In 1994, he and his wife, Marina, founded Shuman Development Group (SDG), which focuses on rehabilitating large-scale urban structures, many of historical significance. SDG’s goal is to revitalize entire neighborhoods and create jobs. The company has spearheaded numerous high profile projects such as the redevelopment of the Reading Outlet Center and the restoration of the Abraham Lincoln Hotel. Weinstein earned his B.S. in Marketing and M.S. in Accounting from Penn State in 1973 and 1974, respectively. President of Weinstein Realty Consultants, located in York, he was appointed to the Penn State University Board of Trustees by Governor Tom Wolf effective September 2015. He also has served on the board of Penn State Hillel since 2003, and as its chair since 2013. 12:15–1:15 p.m. Friday, Nov. 16, room 111, Gaige Technology and Business Innovation Building. Penn State Berks students Carter Scherer, a first-year engineering major, and junior Nathaniel Leighton will host a 3D printing workshop. Also offered through the Langan LaunchBox: (Both events are free and open to the general public). On Tuesday, November 6, Dr. Luis Escobar will present “Food As Medicine: An Innovative Approach to Health Improvement from an International Perspective.” This will be an informative session on how health can be transformed through diet. The event will take place from 4–5 p.m. in room 111 of the Penn State Health St. Joseph Downtown Campus. The presentation will be delivered in English and Spanish. Dr. Escobar, vocational doctor, entrepreneur, researcher and lover of new health technologies, is a medical director at Clinica Marazuela, Universidad Complutense de Madrid. He is the son of an endocrinologist, and he and his father have previously published a book together on the Mediterranean Diet, obesity, the prevention of cardiovascular risk factors, and the importance of eating habits on long-term health. The second event on Wednesday, November 14 is a panel discussion by current entrepreneurs working with virtual reality, augmented reality, and gaming in the entertainment, instructional training, and Esports industries. “Meetup-VR, AR and Gaming-Creating a Business” will take place from 6:30–8:30 p.m. at the GoggleWorks Center for the Arts, 201 Washington St. Reading, PA 19601.